If you require any significant torque from the motor at 20 % you will have to provide an auxiliary cooling blower. The fan on a TEFC motor will be turning too slowly to provide any significant cooling capacity for the heat generated. 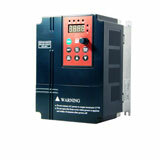 This is not new nor does it apply only to AC VFD. DC motors which can have high torque and low speeds and also wound rotor motors have the same limitations. 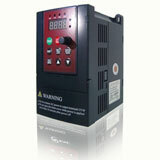 The low speed of a VFD is there to use. The thermal capability of the fan to cool is limited by the low speed. Install an appropriately rated fan or blower and the motor will be OK.
By the way the V/F should take care of the lower frequency. Since the voltage will also be lower the lower frequency will be roughly taken into account. This would be similar to the difference in a 50 HZ 380 VAC European standard vs the 60 HZ 460 VAC. Of course the horsepower would be less since HP = torque X rpm / ~ 5280 (close to the correct number, but I forget exactly what that number is). Equal torque at lower speed = less power out. However many applications require less power at lower speeds anyway. Constant displacement pumps at high pressure would be an exception and the current draw might be high at low speeds. How to address this depends upon your process. 1) You can do the theoretical math with some software on the internet; 2) you could do a before and after measurements and3) adjust the process.